1. Darling foldable combat boots in a whole host of cool colors. Get them from Amazon for $32.99+ (available in sizes 5–11 and seven colors). 2. A pair of Doc Martens with fuzzy insides, in case the classic version isn't warm enough for ya. Get them from Amazon for $100.99+ (available in sizes 5–12 and two colors) or Asos for $159 (available in sizes 5–9). 3. A pair of stylish snow boots that come in a variety of styles, some of which include cool bright red soles. Get them from Amazon for $32.99 (available in sizes 5-12 and in 17 colors). 4. A pair of sherpa-lined hiking boots worth actually going outside for. Get them from Urban Outfitters for $69.99 (available in sizes 6–9). 5. Ultra-popular combat boots that reviewers swear by for comfort, warmth, and most importantly, style. Seriously, these babies have over 3,000 positive reviews. Get them from Amazon for $19.85+ (available in sizes 5.5–11 and three colors). 6. 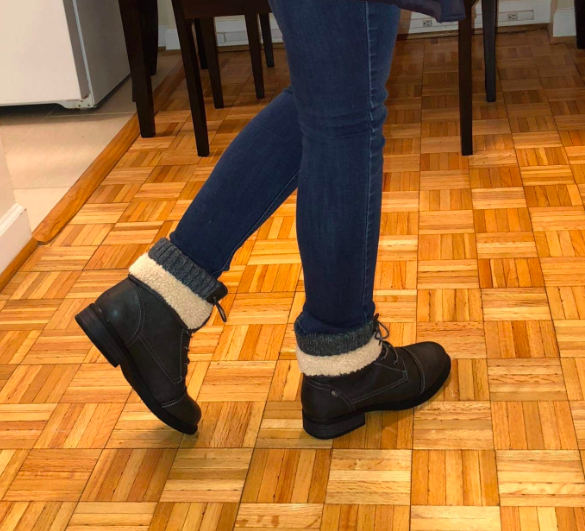 A pair of foldable boots so you can show off a little fuzz when it's not blizzarding out. Get them from ModCloth for $69 (available in sizes 6.5–11). 7. Fun '90s-inspired Steve Maddens you'll feel sorry to part with in the spring. Get them from Nordstrom for $89.98 (available in sizes 5.5–11 and three styles). 8. Chunky heels with teddy bear-level fuzziness on the inside. Get them from Amazon for $10.99 (available in sizes 4-11 and in five colors). 9. Water-resistant and microfleece-lined stunners that will keep you safe from gross weather and bland footwear. Get them from Free People for $129.95 (available in sizes 6–10). 10. A pair of pastel cuties sure to tickle you pink. Get them from Amazon for $32.99 (available in sizes 6–9 and four other colors). 11. Chunky, strappy suede boots for braving the cold weather or starring in your own Matrix reboot. Get them from Asos for $103 (available in sizes 5–10). 12. Velvety heels with a wide width and treaded soles so you can get to your office/date/party without slipping and sliding in the cold weather. Get them from Ashley Stewart for $23.09 (available in sizes 8W–12W). 13. Faux-fur-lined boots that are easy on eyes, and the wallet. 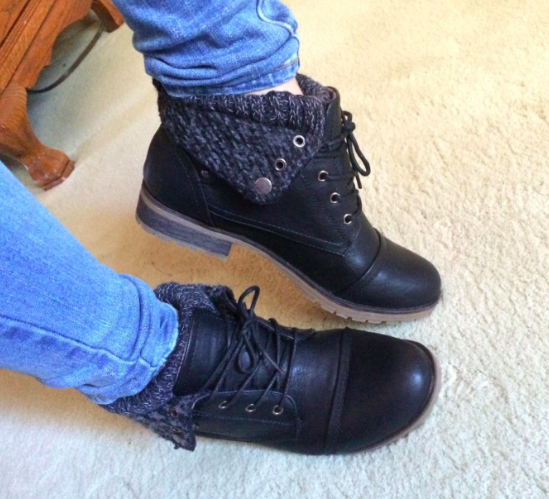 Promising review: "I got my boots way earlier than expected and I love them. They are just a little bigger than I expected, but I don't mind it at all, I just had to get used to them at first. 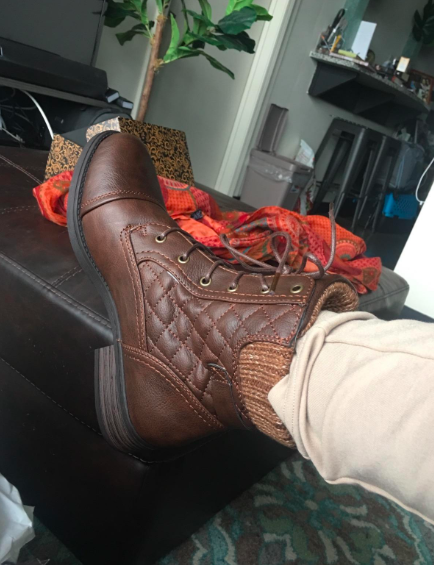 They have good grip, I live in the very cold snowy state of Maine and I walk everywhere in them. 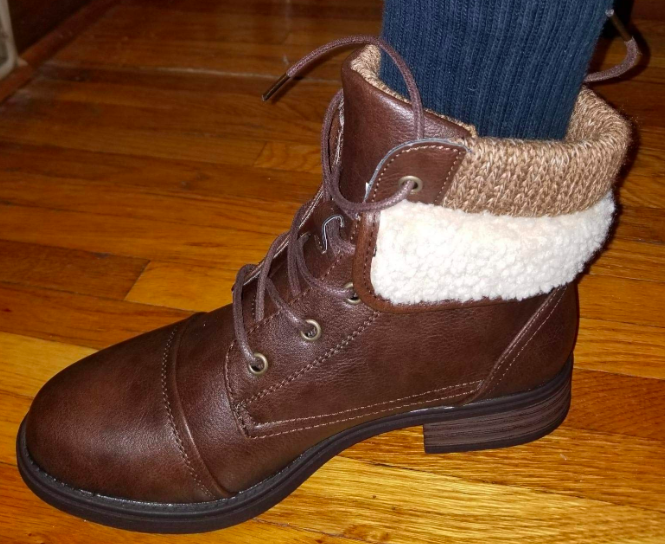 They have worked well through all the snow, slush, and puddles, keeping my feet warm and dry and comfortable!" —erika b. Get them from Amazon for $12.99+ (available in sizes 6–11 and nine colors). 14. Furry-lined rain boots to help you in even the grossest and slushiest of weather. Get them from Nordstrom for $99.95 (available in sizes 5–11 and two colors). 15. 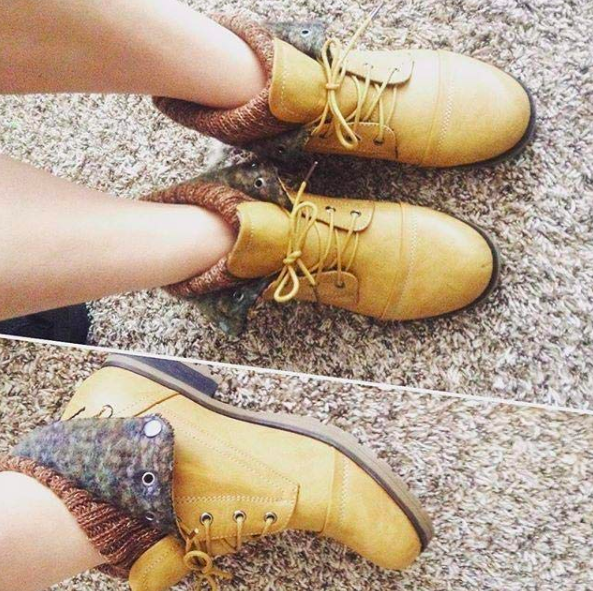 Fuzzy Timberlands you can point to as the perfect blend of function and fashion. Get them from Amazon for $149.95+ (available in sizes 6–11 and three colors) or Buckle for $175 (available in sizes 6–9). 16. High-heeled Uggs that combine the brand's signature warmth with chic high heels. Reviewers say these run small! Get them from Amazon for $124.98+ (available in sizes 5–12 and six colors). 17. Water resistant, shearling-lined babes you won't want to take off. Be prepared to track some snow into your home. Get them from Nordstrom for $334.95 or Samuel Hubbard for $335 (available in sizes 5.5–11 and two colors). 18. Cozy as heck ankle boots great for chilly days when you don't have to go full snow boot. Get them from Amazon for $30.99+ (available in sizes 6–11 and three colors). 19. Chunky but trendy snow boots ready to protect you from those puddles that are way deeper than they look. Get them from Amazon for $32.99+ (available in sizes 5.5–11 and 11 styles). 20. 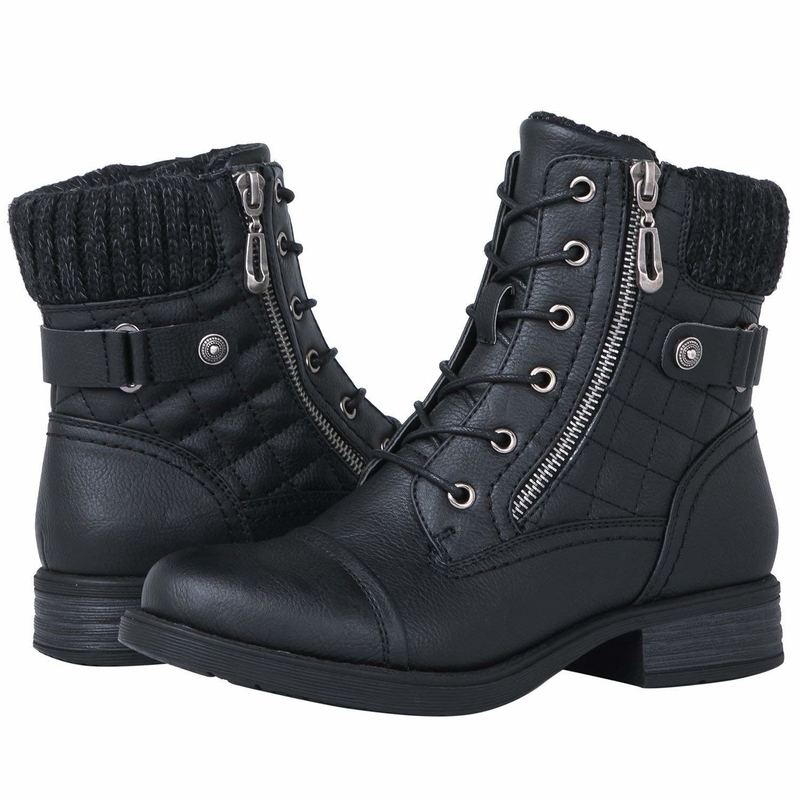 A pair of quilted combat boots that'll feel as warm and snuggly as a quilt blanket. Get them from Amazon for $29.99+ (available in sizes 6–10 and seven colors). 21. A pair of gorgeous heels that aren't just a pretty face — they're warm too! Get them from Amazon for $29.99+ (available in sizes 3-11 and in 15 colors). 22. 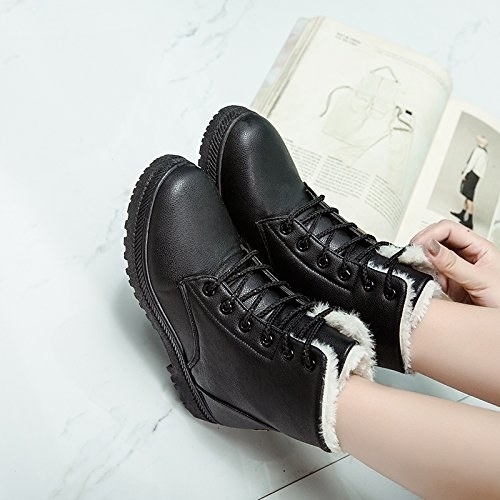 Wide-width hiker boots with a bit of faux fur on the back for extra flair. Get them from Torrid for $74.90 (available in sizes 7W–12W). 23. And a pair of over-the-knee boots, because you need all the extra layering you can get. Get them from Amazon for $29.99+ (available in sizes 5-11 and in eight colors). 33 Heels That'll Make You Scream "OMG, NEED!"